Many invertebrates and a significantly smaller number of vertebrates are hermaphrodites. A hermaphrodite possesses both male and female reproductive organs during their life span. Some of these animals self-fertilize, while others require a partner. Hermaphroditism is a varied mode of reproduction that manifests differently depending on the affected species. Most snails are hermaphrodites. The only exceptions include certain freshwater and marine species, such as apple snails and periwinkle snails. In addition to hermaphroditism, snails are also early bloomers; they are sexually mature by the time they reach a year old. The giant African land snail, Achatina fulica, is the largest species of snail on earth and is capable of laying up to 500 eggs at once. As hermaphrodites, they primarily mate with partners, but are also capable of self-fertilization in rare instances. Echinoderms are marine invertebrates. They include sea stars, sea cucumbers, sea urchins and sand dollars. Some of the most well known echinoderms are also hermaphrodites. Certain species of sea star, like the common cushion star (Asterina gibbosa), are sequential hermaphrodites -- changing gender from male to female. A cushion sea star spends its first three years as a male and the next three as a female. While sea cucumbers -- elongated, squishy echinoderms -- and sea urchins are usually divided into separate, distinct sexes, hermaphrodites can exist throughout different species. Another class of invertebrates, worms, adds to the proliferation of hermaphroditism. Some worms can fertilize themselves, but for the most part worms need a mate to reproduce. Consider the earthworm’s mating ritual. During fertilization, earthworms join together with their heads facing opposite directions and pass sperm and eggs between themselves into a joined cocoon. 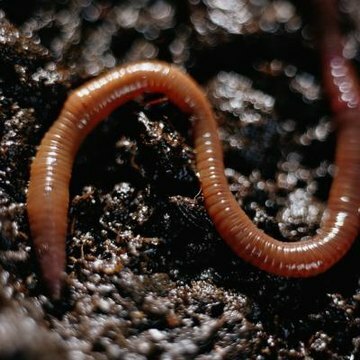 Their reproductive process can occur either above or below the soil when an earthworm emits a pheromone that signals it’s ready to reproduce. Around 21 families of fish are natural hermaphrodites. These unique hermaphroditic vertebrates include snook, clown fish, wrasse, angelfish, grouper, goby, parrot fish, sea bass and anthias. Synchronous fish, hermaphrodites that are male and female the same time, are much less common than sequential hermaphrodites. Sea bass are one example of a synchronous hermaphrodite, though they cannot self-fertilize. The more common sequential hermaphrodites include species of wrasse, which will often turn from female to male when the dominant male in their group dies.